I’ve been working on my Chevalet, and making slow but steady progress on the support arm. 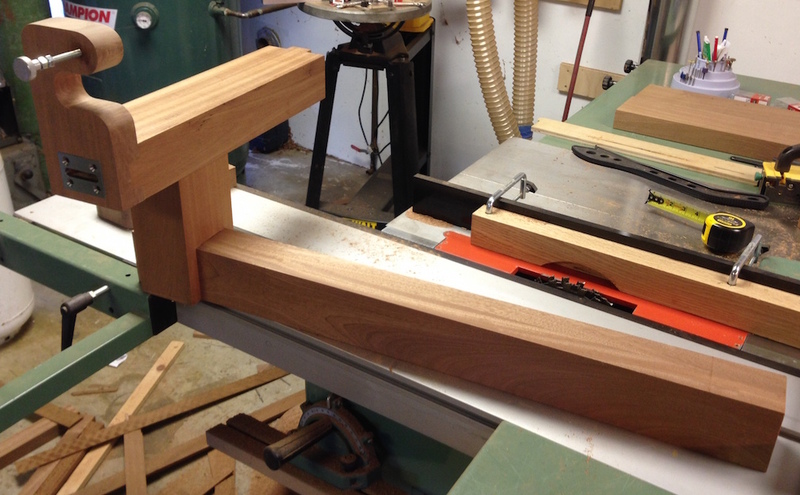 I wrapped up the joinery this past weekend and am in the process of gluing it up. Basically there were two joints to cut here, a double tenon from the vertical post into the horizontal arm that holds the saw frame adjusters, and a bridle joint on the other end of the vertical post into the horizontal arm that connects to the main body of the Chevalet. Before we move on to the point about hand-sawn tenons, here are the progress shots from the weekend. Not as much progress as I’d hoped, but I had to go buy more wood, and it was my wife’s birthday and there were important preparations to be made! Double tenon on the top of the vertical post. The faces and shoulders were cut with a dado stack (the part horizontal on the table saw). The faces between the tenons cut on the bandsaw, and the waste chiseled out. I screwed up the bridal joint, I was trying to cut it to the exact size but ended up with a slightly loose joint. Crud. I cut a thin (~1/8″) slice and glued it to one face of the bridal joint, then used a hand plane to smooth both faces for a snug fit. Repair shim glued in with Titebond II. I’ve now used three different kinds of glue on this project… Random Woodworking by Joe. Dry fit assembly of the saw support assembly. This is from the perspective of the front of the Chevy. Now on to the main point of this post. It’s been bugging me how much I’m doing with power tools. Not that I have a religious objection to power tools, but really from the perspective of efficiency. I’ve done tenons several different ways. I always lay them out with a marking gauge or knife and square, but the way I cut them has varied. I cut some by hand, including the ones on my workbench. I’ve never been good at hand sawing tenons, and I’m very out of practice now. Most commonly, I set up a dado stack on the table saw and chew away the waste from the face of the tenon. I set the fence to control the length of the tenon, and raise the the blade to set the depth of the shoulder using a piece of scrap. Then I can knock out a bunch of identical tenons, but it’s time consuming to switch the table saw over to do that, and then back again. Just for completeness, I’ve also cut tenons on the table saw with the tenon vertically (I absolutely HATE that method, very scary!) and on the bandsaw. If I need to do a batch to identical tenons, it’s probably worth setting up the table saw. Like when I made the two Blacker house sconces, that was 32 tenons I had to cut. But for something like this where I have one tenon to cut, it’s a real time sink to set up the table saw. Maybe the bandsaw is a better method, but I think hand sawing might actually be nearly as fast to make the cut and perhaps more accurate. In that vein, let me offer something I saw posted on Derek Cohen’s “In The Woodshop” website, a magnetic saw guide for cutting tenons. This looks like it could make the setup very fast, and the results very consistent. The recessed magnets hold the saw plate against the jig, just adjust the jig to your layout lines and saw away. Part of why this is on my mind is that I need to make the saw frame for the Chevalet next (ish). Once I finish the CAD model of the saw frame I’ll post it, but it’s essentially a large finger joint, with the fingers just under 1/4″ thick, two fingers on the arms and three and the back of the saw. Any inaccuracy on that is going to be problematic, and it’s not something that can be easily done on the table saw (read: vertical orientation and a special jig). Plan “A” is to make some test cuts on the bandsaw, plan “B” is to hand saw it, maybe with a jig like this. The saw support assembly looks good. 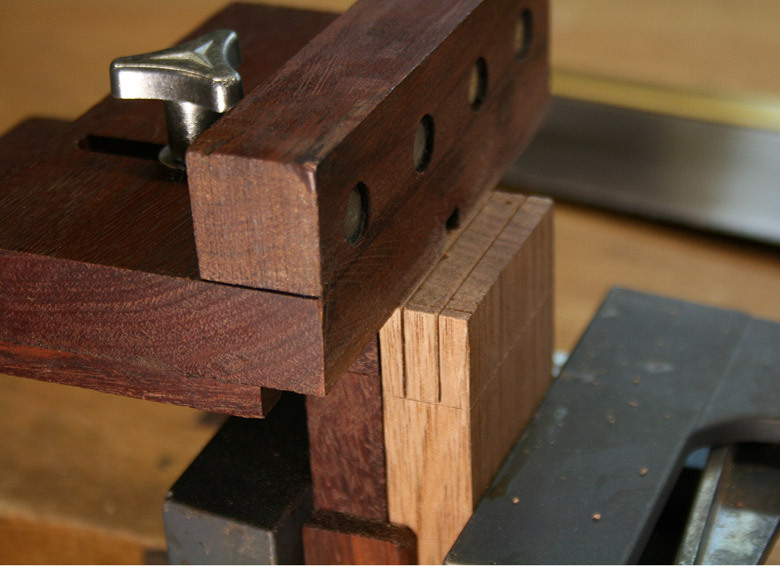 Hand cut tenons are no more difficult than dovetails. Repetition is what’s needed in order to become consistent and proficient. It also helps if, like myself, you have no other option but to cut them by hand. I’ve seen a couple folks touting the magnetic jig and I can see how it would help. The thing that helps and continues to help me is this. Never saw a line you can’t see. It requires flipping the piece a couple of times but gives me consistent results. Thanks Greg. I agree on needing to see the line clearly. 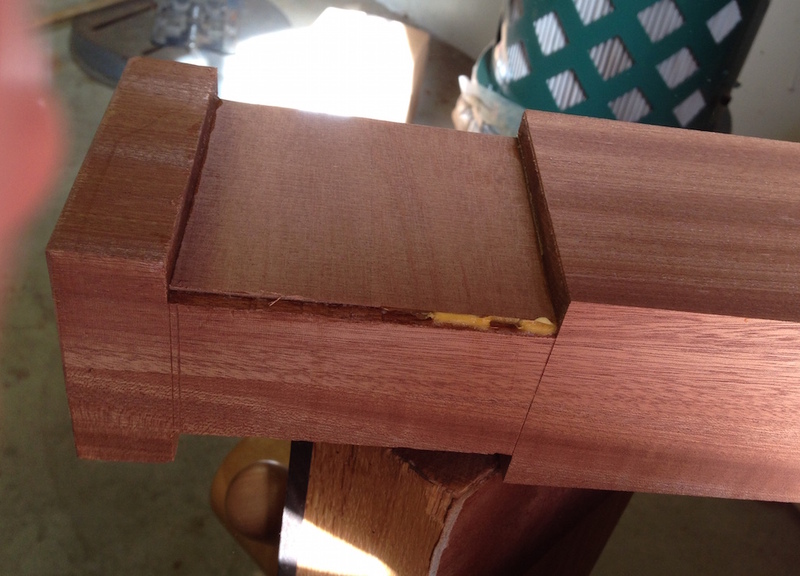 With dovetails it’s gotten to be more or less automatic…after bunches of crappy dovetails I’m reasonably confident of being able to cut through and half-blind dovetails now. But it took practice, and lately my shop time is so constrained that I don’t want to practice, I want to produce. The jig could be a helpful middle ground in that it would help ensure accurate cuts and let me practice hand sawing to get the muscle memory part going. I modeled the saw frame in CAD last night, it just needs a few tweaks and I’ll be ready to make the real part. I think that the use of a guide is good approach. I’ve been watching a LOT of videos on traditional Japanese woodworkers and they make extensive use of guides. Sometimes purpose built. Sometimes just a straight stick held in place to get the cut started. I’m interested to see how the magnets work out. 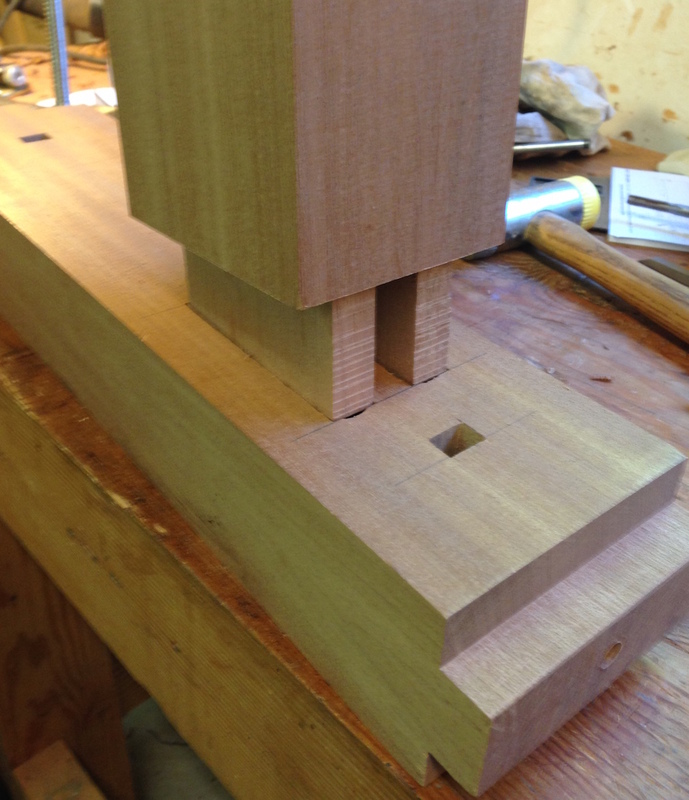 David Barron has a version that he makes for dovetails and it seems to work pretty well too. …they’re great for fattening up tenons. Just make sure you use a wide caul to hold them flat until the glue sets up. ohhh, that’s clever! I’ll put that on my never-ending list of stuff I want to buy from LV. I recognise, it is not usable inside a finger joint but having the external part as perfect as possible is already good. + no twist in the base member of the saw where the two saw arms’ tenon shoulders will seat.